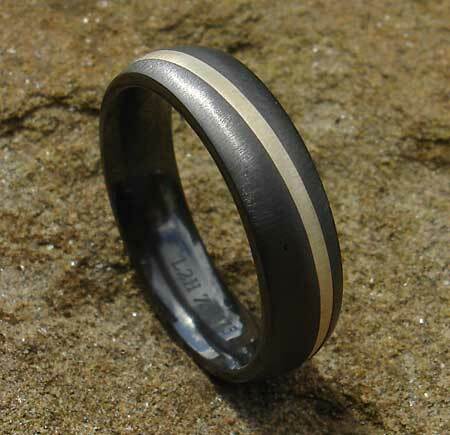 Unique Gold Inlay Black Wedding Ring : LOVE2HAVE in the UK! 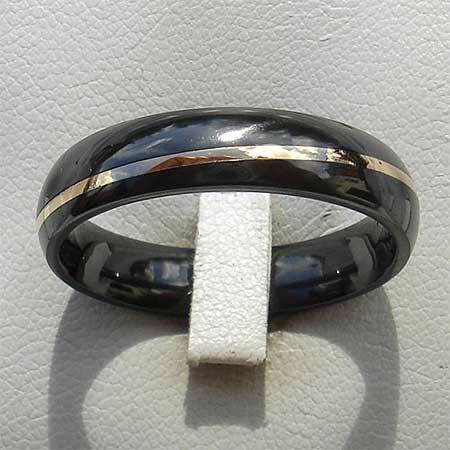 A unique men's gold inlay black wedding ring. 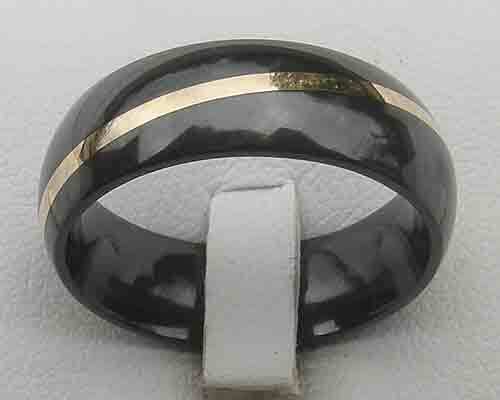 A beautiful black zirconium ring pictured here measuring 7mm wide in a matt finish with a 9ct yellow gold inlay that runs diagonally around the ring. A thinner 5mm width and a polished finish too is also available. 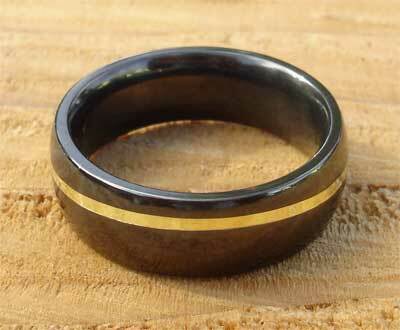 Zirconium makes an excellent choice if you are looking for an unusual wedding ring as it can be inlaid with gold. As you are likely to be wearing your wedding ring for very extended periods zirconiums hypoallergenic qualities rid you of any worries over skin reactions or allergies that some people may suffer when wearing precious metals. 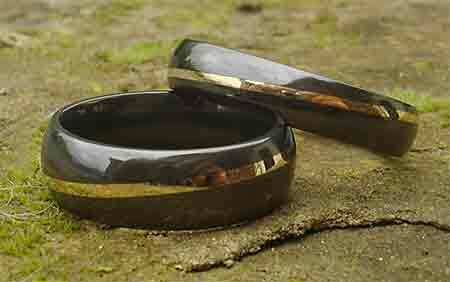 Pictured also is a narrow version of the wider ring which makes a lovely wedding ring set for him and her. 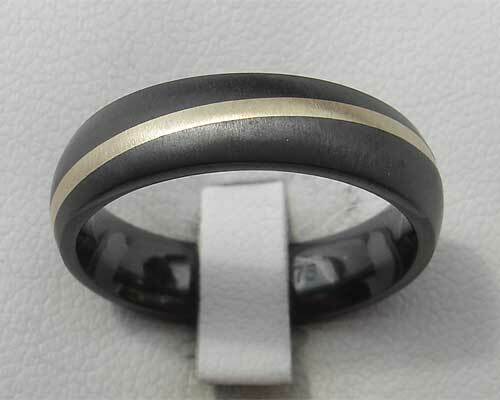 Metal(s)/Material(s) Available: Zirconium with 9ct yellow gold inlay.